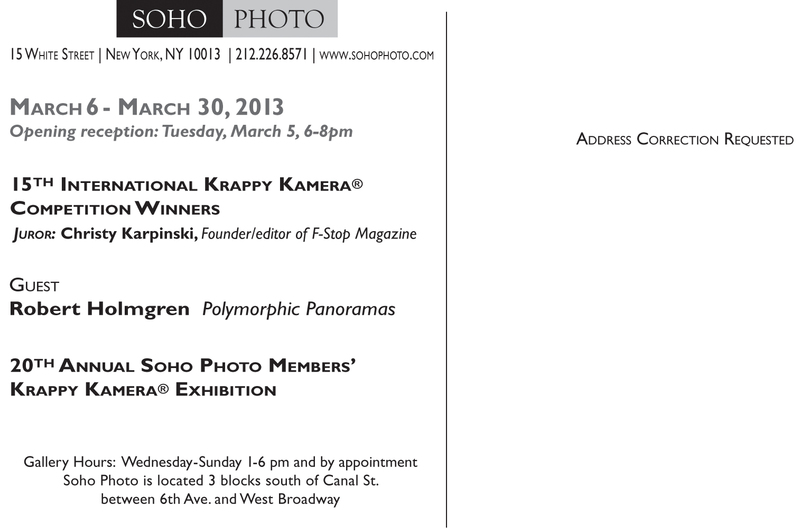 Krappy Kamera XV opens March 6 at Soho Photo in New York, and runs through March 30. 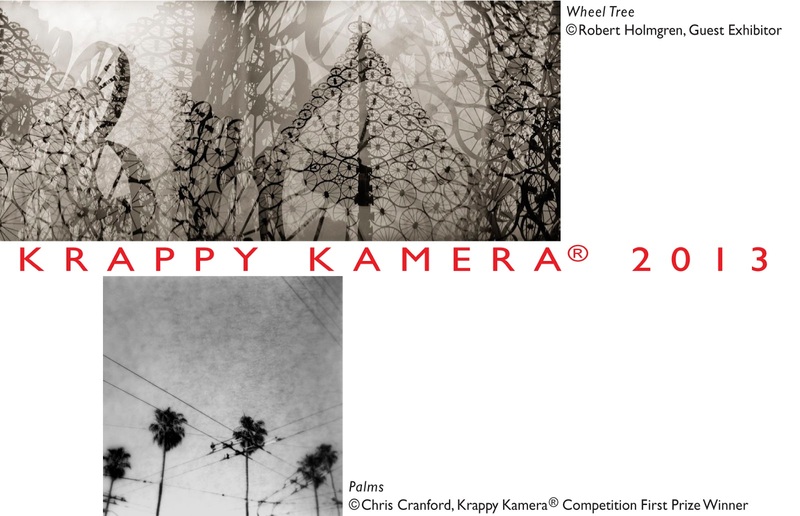 I'm especially excited about this show because my photo, "Knowing you are in the world," received the Holga Inspire Award! There is an opening reception on Tuesday, March 5, from 6:00-8:00 p.m. Everyone is invited! Congratulations on the award, Jackie - what exciting news! Congratulations!! Your photos are beautiful. It's the best Holga image in the show, there's no doubt in my mind. On a side note, besides your print, I will be excited to see Robert Holmgren's panoramas. Thank you so much, Jim! I wish I was getting to see your print. And I hope I get to see Robert Holmgren's panoramas sometime - the one one the postcard looks quite magical to me. Your wonderful photo is very deserving of the Holga Inspire award. 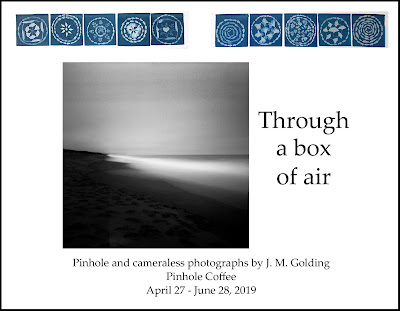 Looking forward to seeing it in the gallery. Congratulations J.M. Thank you so much, Robert, and congratulations on your solo show there!